Narrowboat handling or steering, like all boat handling is very simple in principal, but you would be amazed at how many folks struggle with even the basics of boat handling. It has been said that steering a narrowboat is like trying to steer a long string of shopping trollies. I would like to pass on some handling tips for boaters who maybe new and inexperienced who want a few guidelines on cruising on the canals. It must be said that there are some good narrowboat handling courses available around the UK today, however there is absolutely no substitute for the hands on experience. Starting your engine for the day. Once we have done our checks and turn the ignition key, ensure that the throttle is in neutral. This is usually achieved by pulling out the lever at the centre on the Morse control to disengage the gearbox, and will allow you to open the throttle without turning the propeller. 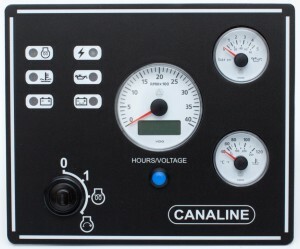 This is ideal for charging your batteries with the engine when you are moored. Now the exciting bit, turn the ignition key to the first position (second in the picture), this allows the glow plugs to warm up (this can take between ten and thirty seconds depending on your boat, and is usually accompanied by a blue or yellow ‘preheat’ light on your control panel, and in some cases an audible warning). Wait until this lamp or warning light goes out to indicate that the glow plugs have pre-warmed the diesel then turn the key to the start position to turn the engine over on the starter motor. Once the engine has fired release the ignition key. You must now make sure you allow your engine to warm up for a few minutes before you move off. On this panel you can see the engine tempature, oil pressure gauge and rev's. The first thing to do is to untie both your fore and aft mooring ropes leaving the aft tied until last to avoid the rear of the boat drifting away from the bank with you still on the bank. Now take a quick glance behind and in front, to see that you won’t be pushing out in front of any approaching boat traffic then from the bow gently push the boat away from the bank. A bow thruster come in handy here as you do not have to run to get back onto the rear of your boat. By pushing the bow away it will first of all make the boat’s rear rotate towards the bank, helping you step on, but make sure you don’t foul the prop in shallow water. If you are in particularly shallow water, push the back of the boat out, reverse away first until there’s room to straighten up, and then engage forward gear. Again a bowthruster in awkward locations can be a boom with a limited crew, or being single crewed. When aboard untie the aft rope making sure your rope doesn't fall into the water as it is only too easy for them get caught in the propeller. If you have used them, don’t forget to put your mooring pins and mallet away securely. Once you are straight, engage forward gear and accelerate gently to cruising speed. Remember that on all waterways, you drive on the right, that is, you pass any approaching boats port side to port side (effectively the opposite to driving in the UK). 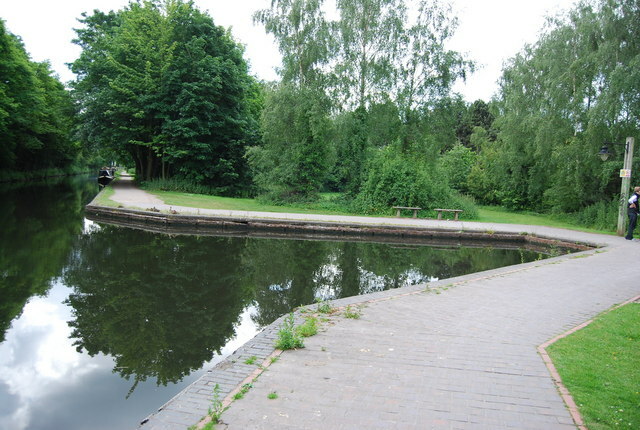 However due to some waterways, especially canals, you will be in the centre of the channel as it is shallow near the edges, where there is a risk of going aground, that is, unless another boat coming towards you. When navigating the waterways the speed limit is 4 mph. When passing anglers and other moored and opposing boats you should slow down. Canal narrowboats normally have tiller steering which is fairly simple, however you must remember that pushing to the right will make the boat go left and vice versa. The big secret of boating, is TAKE YOUR TIME, plan your maneuvers well in advance, and remember two things the boat will take a few seconds to respond and your boat will pivot from the centre point of the length of your boat. This means you need to keep watch out for the front and the back of your boat. A boat is not like a car, if you line up the front of the boat only and then try to turn into a narrow gap, a lock, or a narrow bridge for example , you will run the risk of hitting the bank or wall with the back of your boat. Some craft like wide beam vessels have a ships wheel rather than the simple tiller. Steering a boat with a ships wheel is a bit more like steering a car, however the principles of the boat turning from the centre still remains. With a wheel it’s more difficult to judge where your wheel should be for going straight ahead, so it is important to get to know the feel of the wheel and the rudder position before you set off. Some ships wheels do have a centre point marking at the top for the purposes of indicating the ‘straight ahead’ setting, however this could still be out by a full turn, with your rudder over. 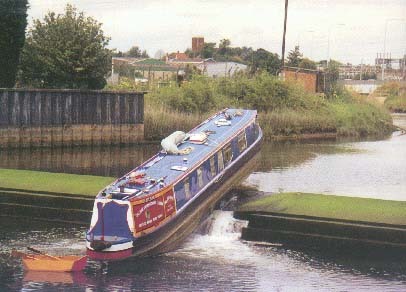 Unless you have bow thrusters, any narrowboat has a tendency to veer to one side or the other when in reverse. You will find that there is an optimum speed in reverse where the narrowboat becomes fairly steady. If the narrowboat is drifting offline, it can sometimes be corrected by a to-ing and fro-ing of the tiller (almost creating a rowing action) to bring the boat back online. You can also use the rudder and blow system. This involves selecting forward at about half speed and turning the tiller about 60 degrees in the direction you want the stern to go, this will push the stern across, then select reverse and continue backwards. Always take your time, and use your throttle and tiller as smoothly as possible. 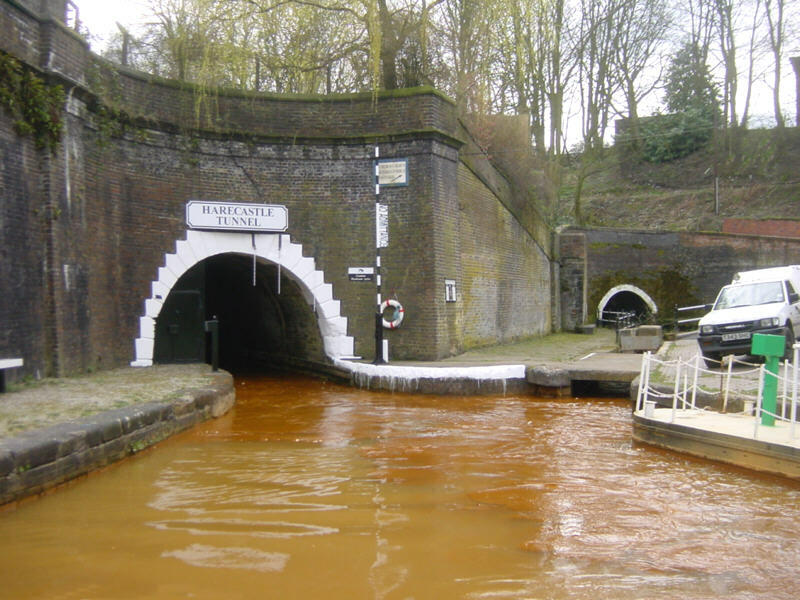 There are some long tunnels on the UK canal waterways network, some can take 45 minutes or so to pass through. Almost all tunnels drip with water, so be sure to put on your waterproofs before entering them. They also tend to be quite cold so make sure you have something warm on. It is also advisable to have a hard hat and life jacket, there have been recent deaths due to the steerer being hit on the head and knocked overboard in a tunnel. Tunnels can also be very narrow with only room for one-way traffic, or they can be wide enough for two boats to pass. However even this can cause problems as some older tunnels suffered kinks in them due to the builder having structural problems, so all all times be very aware. On the approach to virtually all tunnels there is an information board with specific contact instructions displayed, such as entry times or cruising restrictions. Some like the Harecastle even have a control system like traffic lights or barriers at the tunnel entrance. If the tunnel you approach is a one-way tunnel, without any obvious right of way indicated, make sure before entering there’s no boat inside. Then if all is clear switch on your headlight and all your interior lights. For the best vision, have a high powered broad beam headlight to illuminate the tunnel roof about 50 to 100 yards ahead. Some stern lighting will help a following boat to see you, but if it’s a single bright spot or rear navigation light, it may be confused with a headlight by the helmsman of the following boat. Please remember do not turn your headlights off until you fully emerge from the tunnel. You may be able to see adequately for the last 100 yards of so when leaving the tunnel, but to any approaching craft, you will be in pitch darkness and virtually invisible without a light displayed. Like on a canal, the best place to steer while in the tunnel is in the centre of the tunnels waterway, moving right one side when passing approaching craft and keeping to about 2 mph. Try to restrict your movement of the tiller or wheel to as little as possible, some folks get the illusion that the boat is being pulled to the side when it is not. As mentioned above, keep a watch for the changing shape or turn of the tunnel, plus any outcrops which may be sticking out. Tunnels are rarely straight and may vary considerably in headroom. Keep at least 200 yards away from any boat that maybe in front of you. This is normally done at a winding hole. If you have a bow thruster then this can help a lot. However if not you can use natures bow thruster. Look where the wind and the current is coming from. The wind tends to be the strongest, however be away of being blown side ways. 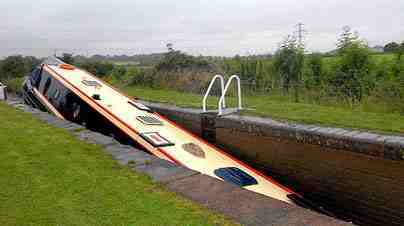 The narrow boat has the heaviest bit at the back, as that is where the engine is. The boat will want to turn faster at the rear, like a pendulum, if used properly you can turn this to your advantage. Also try using the rudder and blow system as described in reversing above. When you approach the winding hole, put your nose over into the V of the hole, beware of any submerged items. Try and maintain a short distance from the bank, and allow the stern of the boat to move across with the tiller. You may have to engage reverse and forward several times to get round. Just take your time, always take your time. This is really just warning to those new and old that can get themselves into trouble with out even thinking about it. When cruising it is a wonderful experience, however you need to keep your wits about you. The danger areas are Locks, Weirs, other boats, busy waterways and tidal stretches of water. Here are a couple of pictures where boats have become unstuck due to lack of a few simple precautions.